What happens when a people decide to govern themselves? 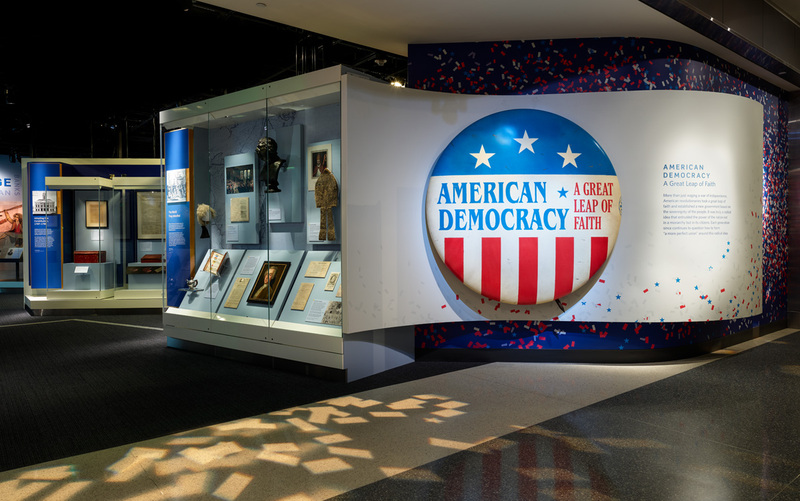 America’s national treasures come to life in this compelling exhibition that examines the bold experiment to create a government “of the people, by the people, and for the people.” American Democracy: A Great Leap of Faith explores the history of citizen participation, debate, and compromise from the nation’s formation to today. Through objects such as Thomas Jefferson’s portable desk, used to draft the Declaration of Independence; the inkstand Lincoln used to draft the Emancipation Proclamation; and the table on which Elizabeth Cady Stanton wrote the Declaration of Sentiments, the exhibition focuses on the changing political ideals and principles of the nation, citizenship in a pluralistic society, and political participation and engagement.